A garden wedding is definitely eco-friendly because all the decors are served in the natural environment. You can have a lush green garden, then decorate it with some flowers. If you want to add more color for an outdoor wedding, you can infuse garlands or lanterns. The important thing is that you are able to make use of the natural setting as your wedding reception decoration. Bamboo plants are said to bring luck. 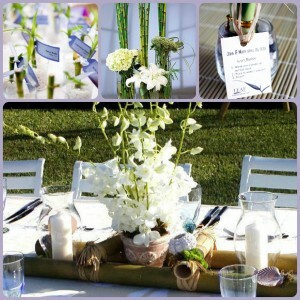 You can use bamboo-made materials as a décor on your wedding. It can be the utensils made of bamboo, bamboo plants as wedding favors or the table centerpiece at your wedding reception. Bamboo can definitely give an ambiance where you feel close to nature. 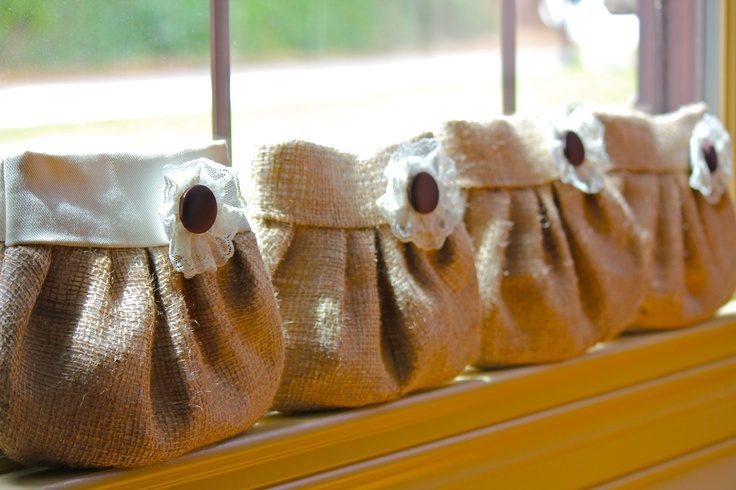 Instead of buying baskets for the flower girls, you can make use of old sack and decorate it as a substitute for the baskets. It will be cost-effective and you can utilize your creative skills very well. Hire local flower suppliers near your location to lessen smoke emission in transporting flowers from one location to another. 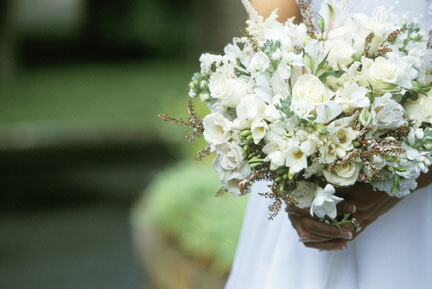 Choosing flowers that are in season can also give you a more relaxed wedding preparation. It can lessen your worry that flowers you ordered will not be available. Get a good deal with your local supplier for the flowers in season. 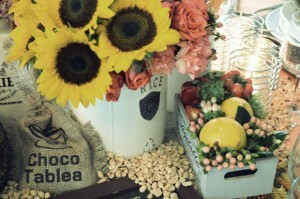 Instead of buying crystal vases, simply make use of recycled tin cans as your flower holder. You just need some creative skills to add some dramatic effect in the tin cans. After all, centerpieces are only for aesthetic purposes. At the end of the party, it will eventually be thrown away. 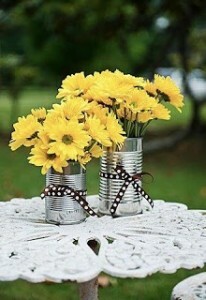 Make use of tin cans as an alternative to expensive flower vases. 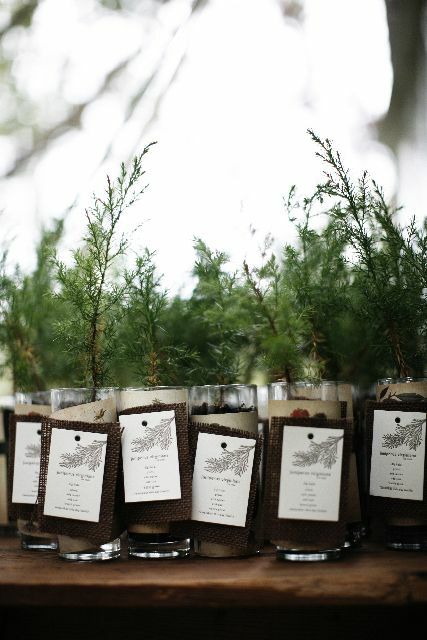 Distribute seedlings or small plants as your wedding favors. If you are an environmentalist, this will be ideal, as you encourage your guests to plant trees. It’s always refreshing to give away wedding favors which will be useful or beneficial rather than the traditional figurines. 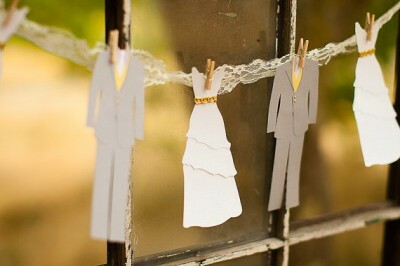 Cut out old newspapers and magazines to make your wedding garland. You can cut out shapes from the papers and hang them artistically at your wedding reception. This is very ideal for those with vintage-themed wedding reception. 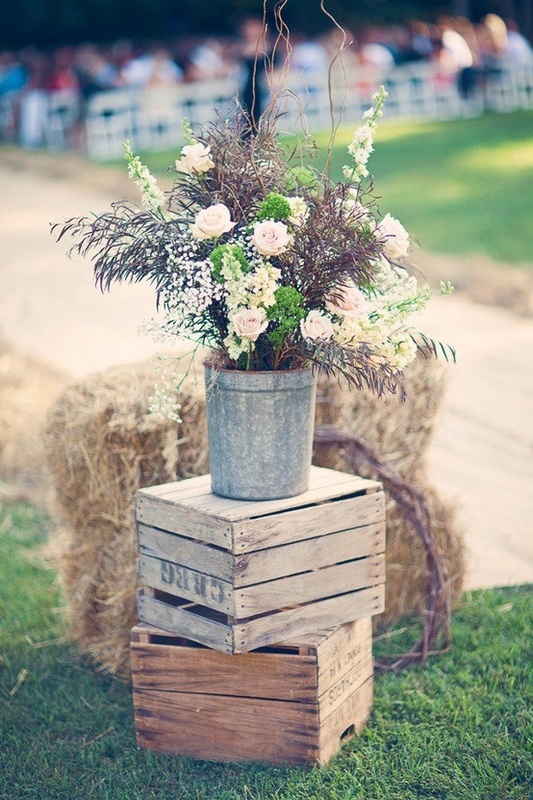 You can make use of old, rustic wooden crates to serve as flower stands. 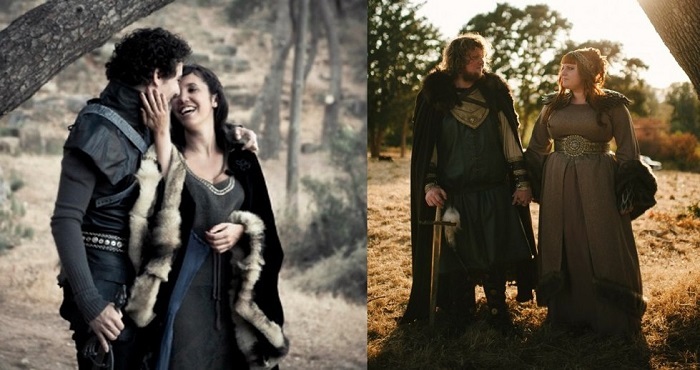 It can create a vintage effect on your wedding ceremony and reception. It can also be moved from one area to another . So, after using the wooden crates at the church or garden, it can be transferred together with the flowers at your wedding reception. Make use of easy-to-find wedding decors such as kitchen utensils. You can bring your old vases, candle holders and ceramic containers for charming wedding reception decorations. Nothing will be put to waste if you use readily-available materials. After using it on your wedding day, you can use kitchen utensils over and over again for your daily needs. 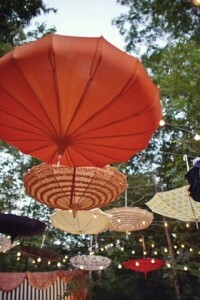 Ask friends to donate their old colorful umbrellas and make use of these as wedding reception decorations. These umbrellas can be hung up upside down position. 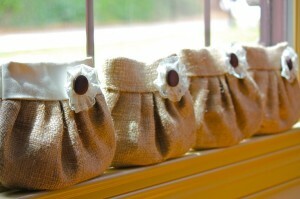 It can also blend well with lanterns or candles during your wedding party. It is ideal to have this décor for those with vintage-themed wedding. Wedding reception decorations need not be extravagant. It can significantly cut down your budget if you will just be more resourceful and creative in finding recyclable materials.